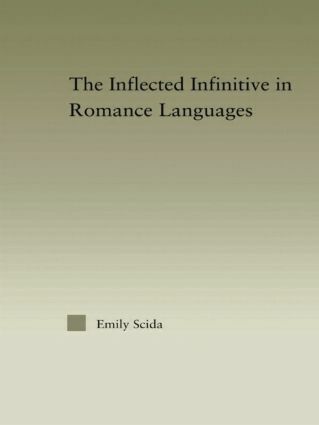 This book investigates two prominent issues with regard to the inflected infinitive-the syntactic distribution of the Portuguese inflected infinitive, and its origin and development from Early Romance. The syntactic analysis offered here differs from traditional descriptions of the inflected infinitive in that it uses a theoretical approach to propose one concise condition which predicts all possible occurrences of the Portuguese inflected infinitive within the framework of relational grammar. While the first section of this book offers a synchronic study of the use of the inflected infinitive, the second section examines the theories previously posited to explain its origin and provides additional evidence from Latin and other Romance languages to support the proposal that the inflected infinitive was a historical development rooted in the Latin imperfect subjunctive. This study presents a detailed comparison of the syntactic environments common to both the imperfect subjunctive and the inflected infinitive, and examines the survival of an inflected infinitive in other Romance varieties as well as the existence of other inflected non-finite forms in these languages.